HOW EASY IS IT TO PITCH? Whether you normally hike solo or with a partner, you will probably want to include the best 2-person backpacking tent to your gear arsenal eventually. 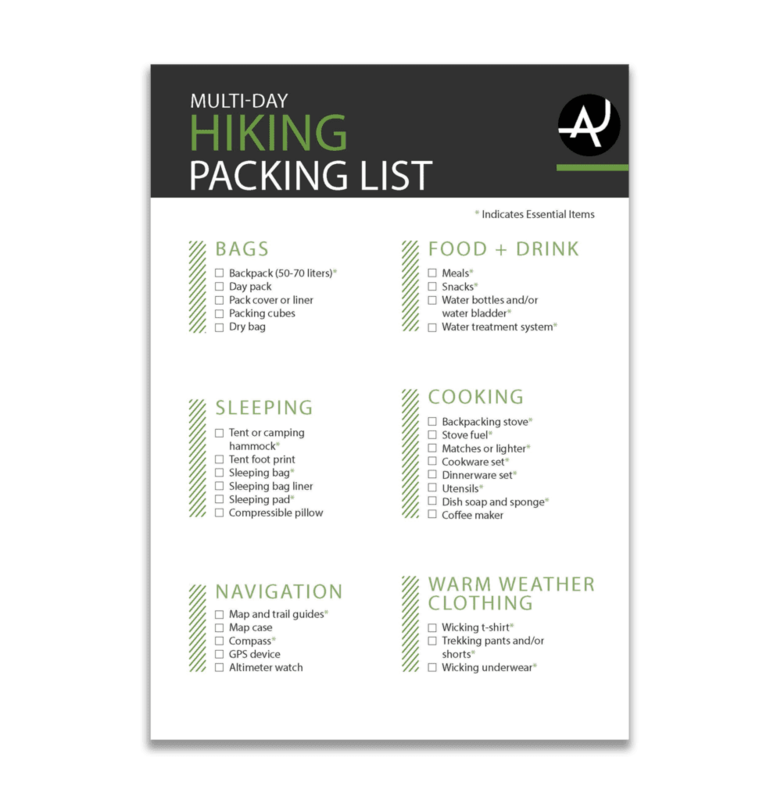 Some choose to use 2-person tents for extra sleeping space, a dog hiking companion, or for gear storage. 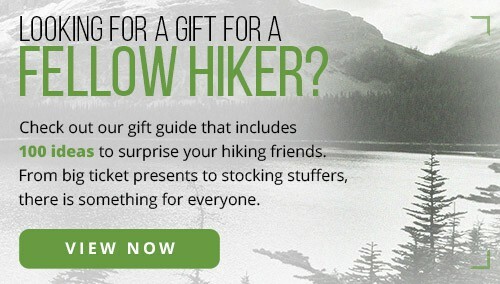 Others prefer to hike in tandem and, of course, need the space for a partner or friend. 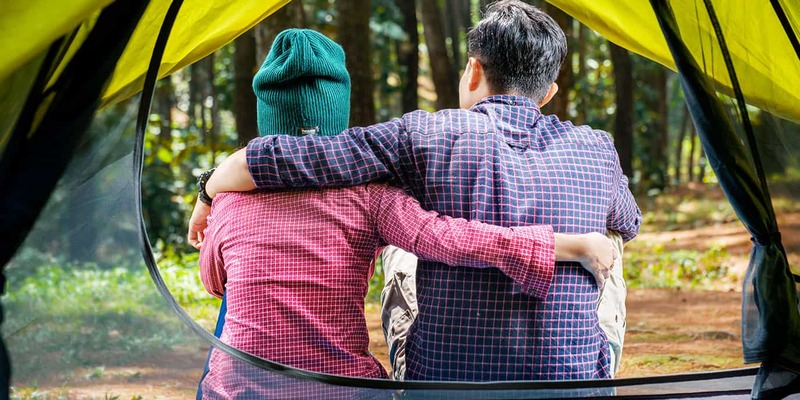 No matter why you find yourself considering a two-person tent, there is a lot to know before you buy. We were all newbies at one point, so don’t sweat it! We’ve broken down all the details you need to know in order to pick out the best two-person tent for you. To save you time shopping, we’ve also put together a list of some of the best two-person tents on the market today! 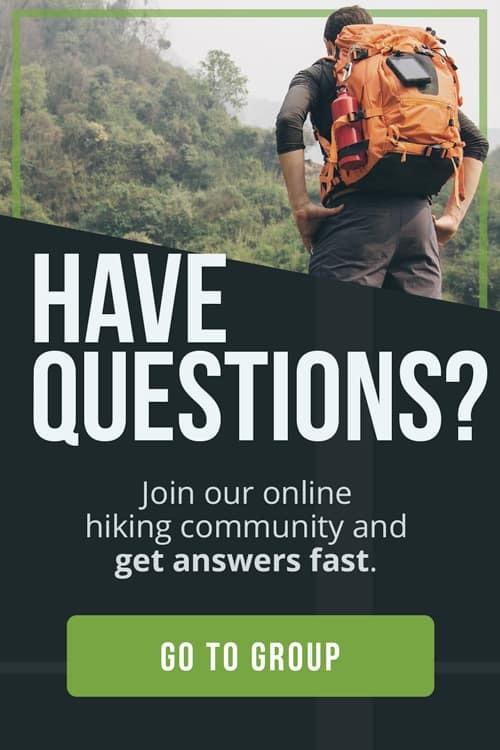 If you’re not already aware, REI is an awesome company with gear stores in most major cities across the US. 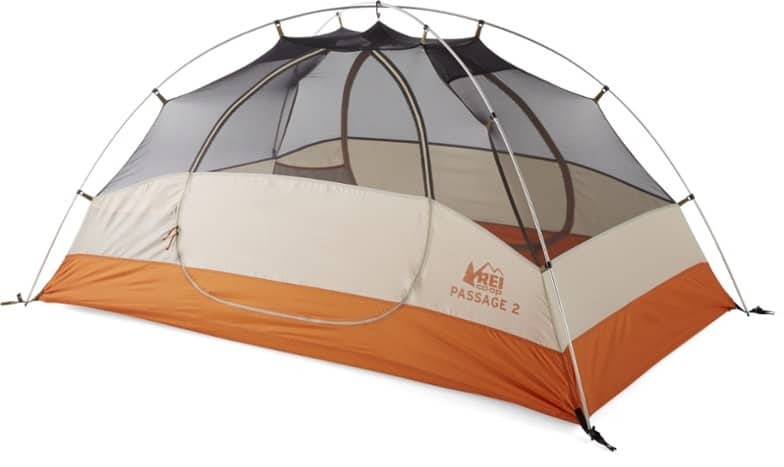 Their return policy is often considered industry-leading and you can go in person to an REI store to check out this tent! The tent itself may not be considered “ultralight” but it’s easy to set up with just two aluminum poles. Using time tested double wall design means the tent is intuitive to use and leaves little room for mistakes that might cause you to wake up soaking wet in the middle of the night because you accidentally assembled the rain fly incorrectly. Don’t worry, even if you pick out a poor campsite, the waterproof bathtub floor will help make sure you enjoy a cozy night of sleep no matter how bad the weather turns. If you’ve never tripped over a tent guyline in the middle of the night while sleepily trying to relieve yourself, let me tell you that reflective guylines can be a real lifesaver! 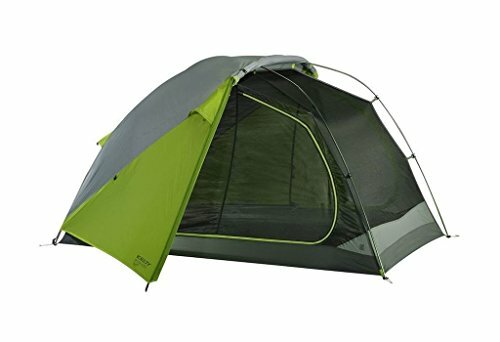 Of course, high visibility guylines barely hold a candle to the primary feature of this tent. 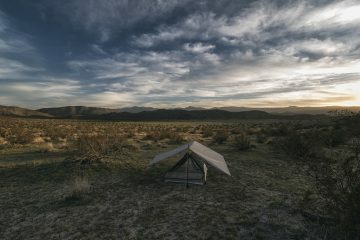 Thanks to the A-frame design, this minimalist tent is able to use hiking poles instead of tent poles to add rigidity to the structure and save weight. Instead of carrying poles for your tent, you just use the hiking poles you already carry to set it up! Be sure you have the right poles for you and your tent before you hit the trail. This tent is by far the lightest tent on our list. The North Face was not setting out to reinvent the two-person tent with this one. It makes our list because it’s reliable, proven, and easy to use. 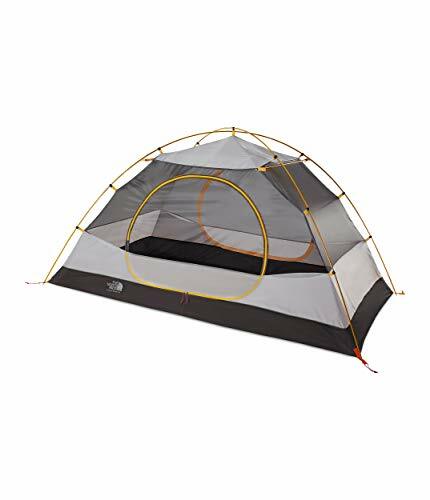 You can easily get in and out from either side of the tent and each side has a vestibule for gear so that each person can keep their stuff organized and separate. You’ll also be able to get in and out without climbing over one another, which is nice especially for those middle-of-the-night bathroom breaks. There are four poles to set up this tent but don’t worry – the configuration is straightforward and won’t take much practice to master. 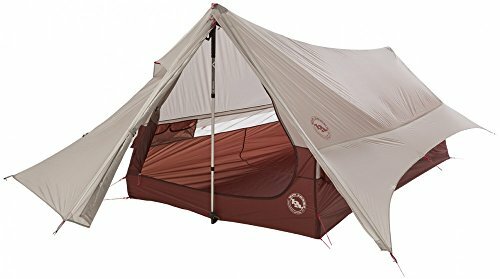 Maybe one of the most noticeable innovations on this tent is the bent pole design. This engineering move causes the tent walls at the head and foot to hang nearly vertical which adds more headroom. That means less bumping into soggy tent walls! To make setup easier the tent poles all terminate into a central hub at the top of the tent. This foolproof design makes figuring out set up a breeze every time, which is nice when you’re getting drenched in a surprise thunderstorm. It’s worth noting that this tent also has the distinction of being the largest floor space model on our list, which means more room for you and your partner or extra gear. Kelty stepped up to the plate and delivered a tent that’s easy to set up and great for enjoying remote nighttime views with their Trailogic TN2. Color-coded poles help you get the setup right every time (once you learn the system). Plus, on fair-weather nights you can roll open the rainfly and enjoy the unobstructed views of the 360-degree bugproof mesh. Maybe one of the nicest features of this tent is that the two side doors are extremely generous in their size and cut. That means it’s easy to get in and out with catching your hood on the rain fly and dumping a load of water down your neck. Pitching a tent is something that new campers and hikers often struggle with. When the kids are running around and the burgers are threatening to burn on the grill, you don’t want to be tearing your hair out trying to set up the tent before the rain comes. Today there are many easy pitching tent options. 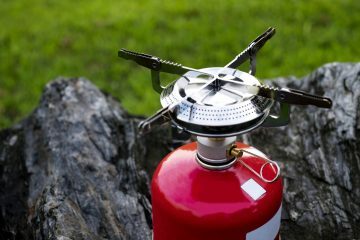 Most experienced camper will agree that the easiest of these options is the hub system, which allows for a foolproof and quick setup every time. Two person tents need enough room for pairs of hikers but must remain small enough to stay lightweight. Usually, these tents range from about 25 – 33 square feet of floor space. In this category, the best tents use near-vertical sidewalls to provide access to more space near the edges of the tent in order to make efficient use of all the floor space. 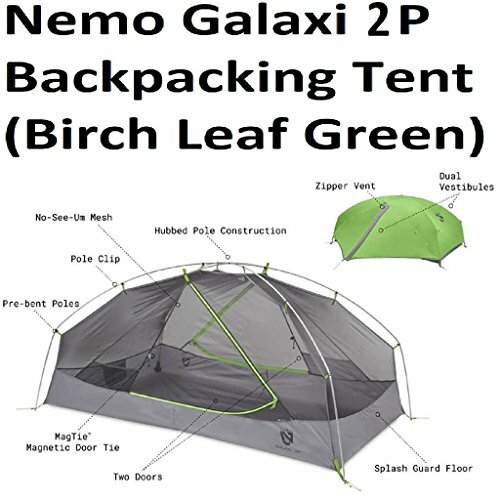 Most modern tents use either nylon or polyester fabric with some type of waterproof coating. These waterproof fabrics are used on the tent floor and rainfly. For the tent body, mesh fabric usually makes up the majority to allow for airflow and views. Other, usually non-waterproof, fabrics are often incorporated as well. Dual-wall tents usually have a non-waterproof inner made from mesh or lightweight fabric which allows for ventilation. Externally the waterproof rainfly does the work of keeping you dry, so be sure this piece specifically is made from quality waterproof fabric. Vestibules allow a small overhanging space near the entry door where the rain fly provides a sheltered space for gear, shoes, or packs. These little storage awnings are popular in most tents. Vestibules also provide some coverage from rain when entering and exiting your tent so that falling precipitation cannot easily directly enter the tent itself. 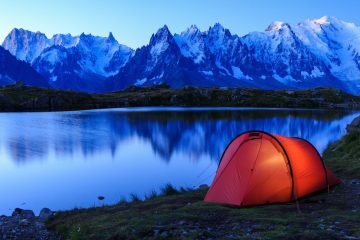 Tents with features that can be “left at home” such as fly-only tents may have a minimum trail weight which could be misleading. As a beginner tent camper, you won’t want to leave behind some of the comfort items from your tent. Tent footprints are waterproof, durable liners that go on the ground under your tent. These are to protect the tent from sticks, broken glass, and ground moisture. Footprints are not meant to keep the bottom of your tent totally dry. In fact, improper use of a tent footprint often leads to more water being channeled under the tent. Many users forego the tent footprint altogether or use some creative alternatives such as those suggested here. Be sure to read the manual with your tent and practice proper tent pitching before using it in a storm to ensure that you get the most out of your tent footprint. This is the type of tent you’re most likely already familiar with. Double wall tents are the modern standard of construction. They feature an inner shelter which is usually the tent itself, often with walls made from mesh for view and circulation. Additionally, a double wall tent also features an exterior layer to keep water out. This is usually called the rain fly. Commonly, double wall tents can be set up with either one (just the inner tent or just the fly) or both “walls” depending on your needs. A “bathtub” floor on a modern tent refers to a waterproof fabric that wraps around and up the sides of the tent. As opposed to a single sheet of waterproof fabric on the bottom of the tent, a bathtub floor provides additional protection from running or splashing groundwater. Bathtub floors actually wrap up the sides of the tent and provide anywhere from about 2” – 6” of protection from running or splashing water. Guylines refer to the tie-out ropes or cords on a tent. These ropes help provide additional support and structure to the tent when properly assembled and tensioned. Casey is a full-time outdoor writer with a degree in Outdoor Education. 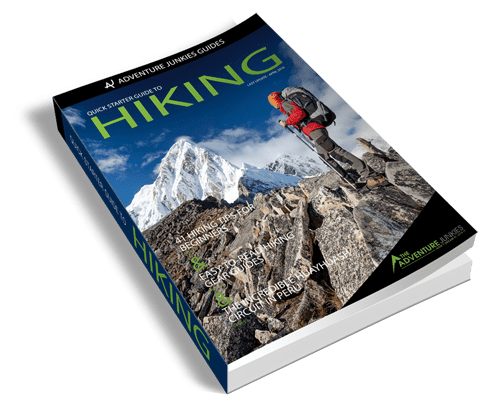 He has spent time guiding backpacking, canoeing, and alpine skiing trips all around the US. When the chance arises you'll most likely find Casey throwing some lures in search of some bass!